Hi! 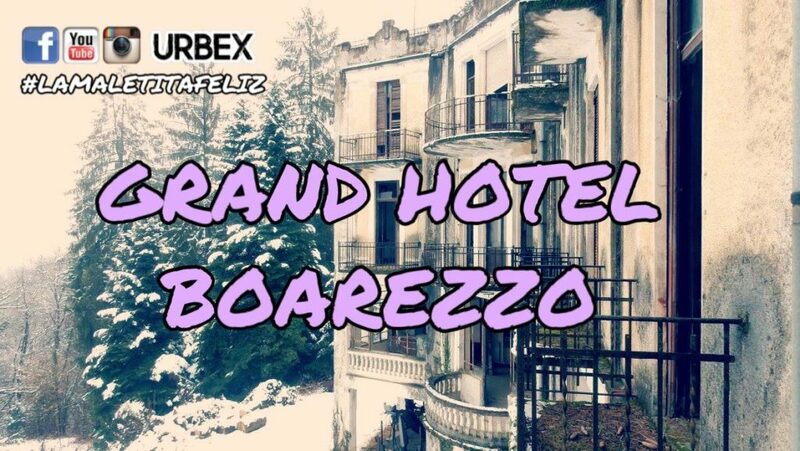 In this exploration I take you to the Grand Hotel Boarezzo, a beautiful abandoned hotel located in the mountains. The Grand Hotel Boarezzo was also called Albergo Pianbello and was built in the 20s by Giovanni Chini, an architect called The Cement Artist because of his skill: he even decorated the gallery of the Central Station of Milan and the Maritime Station of Genoa. Currently its descendants are the owners of the structure. The hotel has 3 floors, had 70 rooms and the dining room could accommodate more than 200 people. On the ground floor there was a garage (now become a woodshed) as well as bowls, tennis and a billiard room. The hotel reached its peak in the 30s, when its rooms were always full and going to Boarezzo from Milan was considered a real holiday as tourists had to take the train that would take them to their destination. At the outbreak of the Second World War the Ducati moved here from Bologna, producing radio transmitters and projectiles. The Ducati Brothers were accused of collaborating with the Nazis and the employees burned the documents on Mount Pianbello. Subsequently the company was transferred to Milan where it began to produce the bikes that we all know. At the end of the war the hotel began to know the decline for the change in holiday mode, since people preferred to go to the sea rather than to the mountains and it was finally closed in the seventies. Even today you can admire the wonderful wall decorations of the rooms and the old mattresses covered with straw. The buildings adjacent to the Grand Hotel Boarezzo housed the Ducati employees and hotel staff. The interior decoration is typically seventies and orange color prevails. The Grand Hotel Boarezzo and the adjacent buildings are guarded by Mr. Osvaldo, a very helpful and kind person. 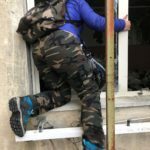 Before entering, I advise you to look for it and tell him you wanna explore the hotel.